-- Mormon girl Leesie has life figured out until devastated Michael lands in her small town high school. He needs her like no one has before. A rare journey into a faithful LDS teen’s intimate struggle. All new reformatted ebook! Now with a bonus, never-before-published, scene that comes after Taken by Storm and before Unbroken Connection! 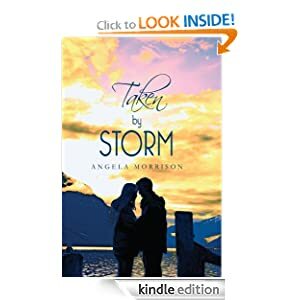 Taken by Storm or to sample this book for FREE! -- In this, the fourth book of the bestselling Mystic Saga, we take a temporary leave of Braxton in New York City to meet up with Cyan – an IX7 unit embodied by a triune of souls from the once primitive race living beneath Legacy. Elix has been returned safely to his people on Legacy. Unfortunately for him, his abductors returned him to an era far before his own lifetime. Fortunately, however for his people, Elix offers a plethora of knowledge about the future invaders and their technologies. He offers a fighting chance for his people. Centuries later, they develop a covert way to visit the world they call Violation - a world we know as Earth. They now have a supreme technology that can permit them to insert three individual minds (an elected committee to determine the fate of their enemies) into a single robotic unit disguised in human form. Can this undercover committee survive in a world of 1947 where they know nothing of the history and little of the customs? 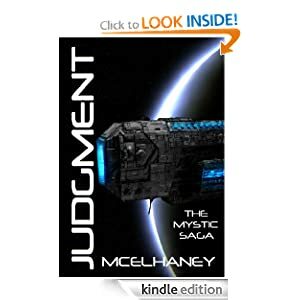 Judgment or to sample this book for FREE! -- Sylvie wants to be a good wife to Gerald, who offers the privileged life she could only dream of, growing up. When they wed eight years ago, the country was in the throes of the Depression, and she thought she’d made the right choice. She wants to please her new husband, and bear his children. But no matter how hard she tries, she cannot give him her whole heart. She thinks something is wrong with her until Nikos, the earthy Greek handyman, shows her what real passion is — and gives her a child. Sylvie knows Gerald will never accept the newborn, with her black eyes and dark hair, and she despairs until a fire in the hospital gives her a way out. In the confusion she switches her daughter for another’s, a bold act that resonates through the decades and culminates in one of the most passionate love stories portrayed in contemporary fiction. 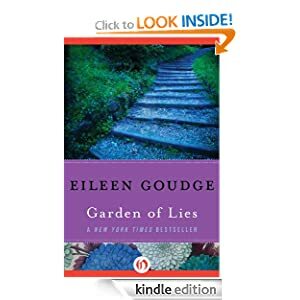 Garden of Lies or to sample this book for FREE!